A memorial clock tower is a common feature in many towns and cities across the world but particularly in Australasia. They are often the scene of annual Anzac parades, which take place in April to commemorate those lost in both World Wars. The picturesque town of Waverley, New Zealand, is no different as it has a memorial clock tower at the heart of its community. 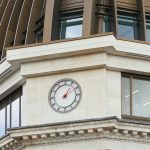 The tower was subject to a full restoration in 2013 which brought it back to full working order and visually making it look ‘as good as new’. However, the clocks chiming hours were not always appreciated. The chimes could be heard during the night in many parts of the town. It was eventually decided that this mechanical masterpiece would be silenced at night. Smith of Derby were approached to see if a solution could be found so a silent period would be formed. 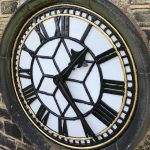 Jim Foster, who has led many international projects at Smith of Derby, worked closely with the client to accurately identify the current system in place at the clock tower, before developing a solution. Jim decided that it was best to incorporate a new movement, with an accompanying equipment, to suit a 2kg bell hammer. Then a controller was set to work alongside the equipment which would now hold the bell hammer between the hours of 11pm and 6ammeaning the town fell silent during the nigh. 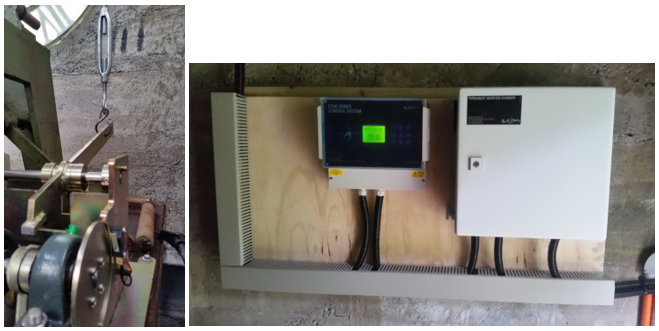 These parts were supplied and delivered to the South Taranaki District Town, before being installed by the local project leader Robert Hopkins. Smith of Derby are proud to be part of a successful international project and are delighted be able to make a difference in a small community over 10,000 miles away from our Alfreton Road base.